Editor's note: This column was authored by Shannon Watkins. Private student loans might soon become more difficult to obtain. In fact, the future of the entire securitization industry could be at stake—contingent on a pending settlement in a Delaware federal court between the Consumer Financial Protection Bureau (CFPB) and the National Collegiate Student Loan Trusts (NCSLT). 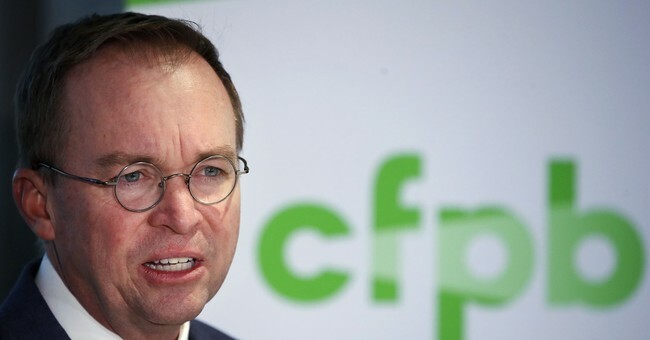 Arguably, the lawsuit is the result of an egregious overreach of bureaucratic power on the part of the CFPB, which at the time of filing was headed by now Ohio gubernatorial candidate, Richard Cordray. The first misstep of justice occurred when the CFPB took unprecedented action against fifteen National Collegiate Student Loan Trusts (NCSLT)—the country’s largest owner of student loans. Together, the Trusts own 800,000 student loans that total to approximately $12 billion. Many of the student borrowers have defaulted on their loan payments, with $5 billion currently in default. That is partly because the trusts consist of many high-risk student loans that were borrowed close to the time of the Great Recession. Regulatory action against the 15 trust funds began when the CFPB accused the loans’ servicers and debt collectors of misconduct. However, instead of simply pursuing the debt servicers (which the CFPB has the statutory authority to do), the CFPB also decided to take action against the Trusts themselves, for the apparent misconduct of the independent debt collectors (which the CFPB has no statutory authority to do). The CFPB’s suit against the Trusts consists in a proposed consent judgment that would impose unjust penalties and terms, and hefty fees, on the Trusts. If approved, it will force NCSLT to pay millions of dollars to the federal government. The injustice of the suit is highlighted further by the fact that the conditions of the settlement are based on a deal struck between Cordray and hedge fund manager (and Obama donor) Donald Uderitz. Even though Uderitz’s firm Vantage Capital Group “owns” the Trusts, Uderitz stands to profit from the CFPB’s unlawful intervention. That’s because Cordray’s proposed settlement would allow Uderitz to gain sole control over all the Trusts—virtually shutting out the other parties to the Trusts entirely (and thereby violating the terms of the Trust agreements). Additionally, the proposed consent judgment formally grants Uderitz access to and control of student loan debt servicing. Both Cordray and Uderitz stood to benefit from such an arrangement. Anticipating his upcoming gubernatorial run in Ohio, Cordray would be able to end his time at the CFPB as a “hero” who punished the malpractice of debt collectors. For his part, Uderitz is posed to make a profitable return on a virtually worthless investment. The Trusts shouldn’t be treated—or punished—as debt collectors. The Trusts, which have no employees, function merely as a securitization vehicle through which private student loans can be financed by private investors. The stability of contract law is vital if the securitization industry is to remain afloat. In turn, the stability of the securitization industry helps foster a healthy economy. One way it does so is by connecting investors to those who need loans. The more capital that is made available to student loans, the lower the interest rates borrowers will have to pay. In other words, the more competition that exists between investors, the lower the interest rates will be for borrowers. However, by refusing to uphold the terms of a contractual agreement, the CFPB undermines the confidence that parties to a contract can have. Furthermore, in its decision to sue the Trusts for the sins of its servicers, the CFPB has recklessly overstepped its statutory authority, contributing to the general undermining of the rule of law. Such abuse of power, when unmonitored, only results in greater costs to society; as such, the CFPB should be held accountable. If the CFPB is truly concerned about the welfare of students, its current director Mick Mulvaney should withdraw the proposed consent judgment from the court. Doing so will not only protect students from higher interest rates, but it will also uphold the rule of law and the integrity of contracts, both of which are essential for a flourishing economy. Shannon Watkins is a Young Voices Advocate and writes on higher education policy in Raleigh, North Carolina.